There is one line of code to create a cube that is 10mm by 20mm by 30mm. The Open Source scripting CAD program OpenSCAD allowed me to make 3d objects using only code, and I fell in love with it. OpenSCAD is great for parametric modeling. 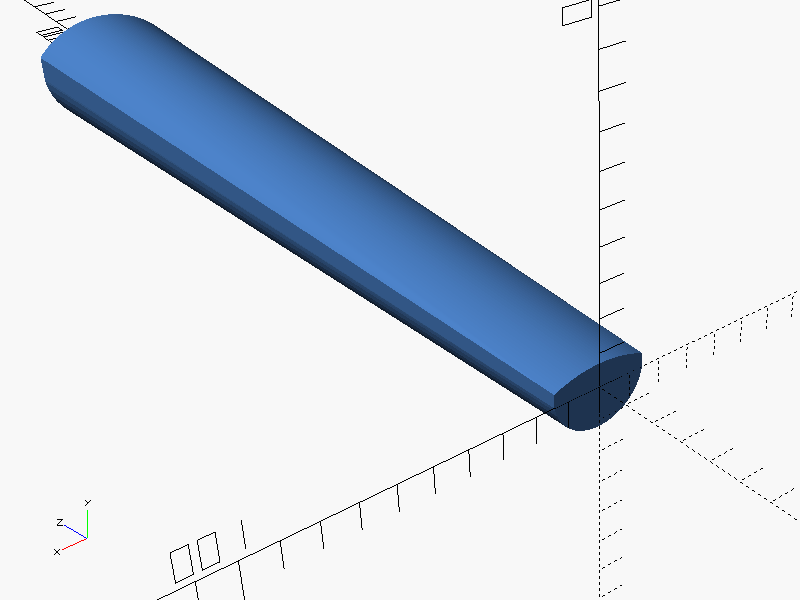 If you want to make ten objects, each with a hole that is 0.2mm larger than the last, OpenSCAD is the way to go. Unfortunately, I discovered throughout my design process that it can easily turn into spaghetti code when creating complex 3d models. The hovalin design began as 100 lines of OpenSCAD code. Despite all of its shortcomings, hovalin v0.1 created the basic concepts for a 3d printable violin that can extend to any CAD program. As a salute to humble beginnings, check out my "hello world" violin neck. More code from the OpenScad attempt at Hovalin can be found here.